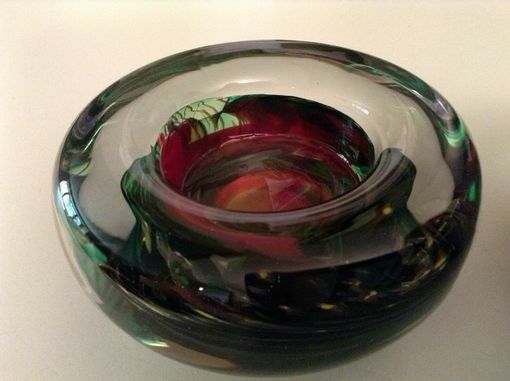 The tea light holders are made by sculpting layers of hot glass and forming the small vessel shapes. 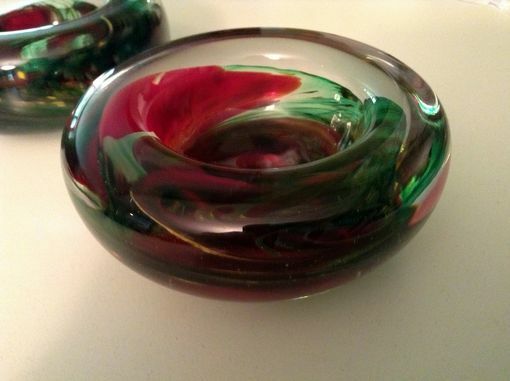 Colorful glass is added between layers of clear, heated and swirled, to create elegant and unique color detail to the pieces. The transparency of the glass works well with the light of the candle. 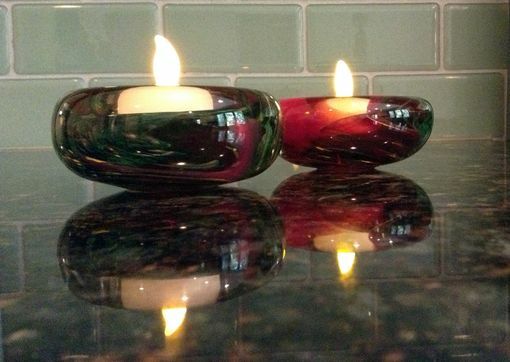 The tea light holders are a simple way to add style and detail to a space. Holly does great work! 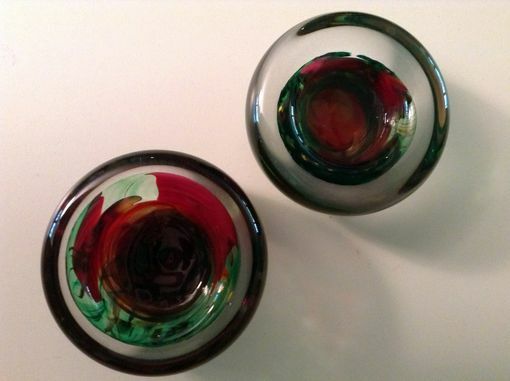 She made me a pair of candle holders that I love!